So There. : Yogurtland Giveaway & New Flavors! Yogurtland Giveaway & New Flavors! 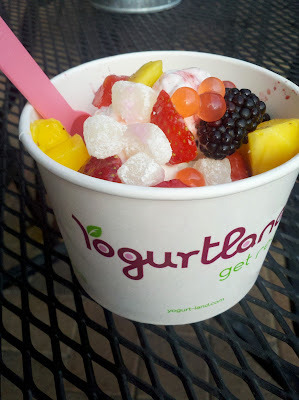 With the temperatures rising, there is only one dessert I crave...frozen yogurt! And Yogurtland is the best! So obsessed with mochi these days. If you have never tried the white gumdrop-looking mochi balls, you should! OK, so, Starting Monday, July 8th, Yogurtland is launching a bunch of new amazing-sounding flavors. 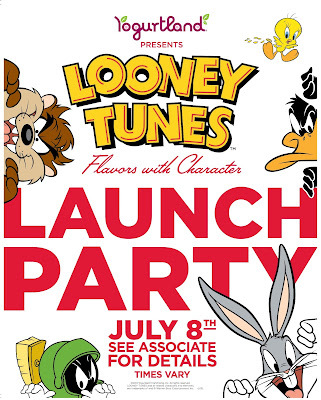 And, this whole week, at select stores, they are hosting launch parties with Looney Tunes character appearances, prizes, and free yogurt! Check Yogurtland's Twitter or Facebook page for all locations, or comment with your location below and I will find out for you! Garden Grove, Costa Mesa, and Mission Viejo to name a few, in Southern CA. ...I can't WAIT to try the carrot cake flavor!! OMG, yum. 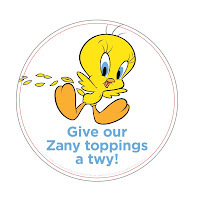 This summer, Bugs, Daffy, Road Runner, Tweety, Marvin and Taz are coming to life in a most delicious way at Yogurtland. From July 8 – Sept. 15, Yogurtland will introduce six, delicious new frozen yogurt and sorbet flavors and toppings inspired by the zany Looney Tunes characters, their personalities and favorite snacks and treats. 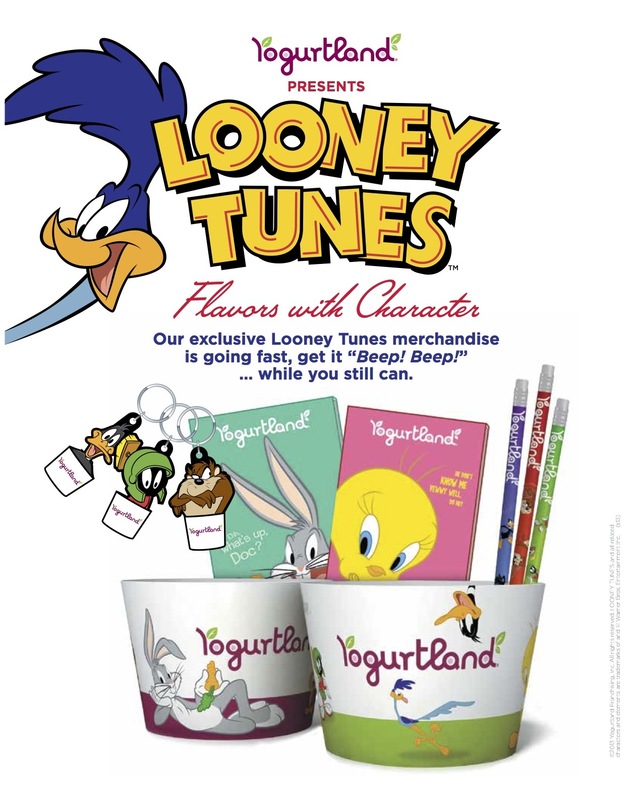 Each character will have their own collectible spoon and cup, and Yogurtland is offering a new line of co-branded merchandise including notepads, pencils, key chains and melamine bowls, while supplies last. 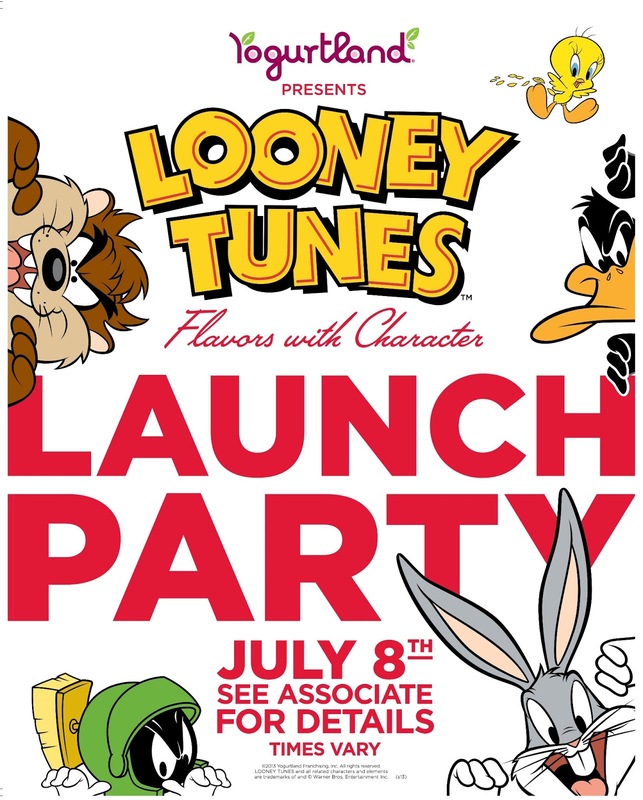 The promotion kicks off July 8 with character appearances, prizes and free yogurt parties at select Yogurtland locations. • Yogurtland’s new Carrot Cake frozen yogurt blends real carrots, hand-selected spices and cream cheese frosting for a taste that will have fans saying, “What’s up, Doc!” Bugs Bunny would be the first in line to fill his cup with shredded carrots, Yogurtland’s first vegetable topping. 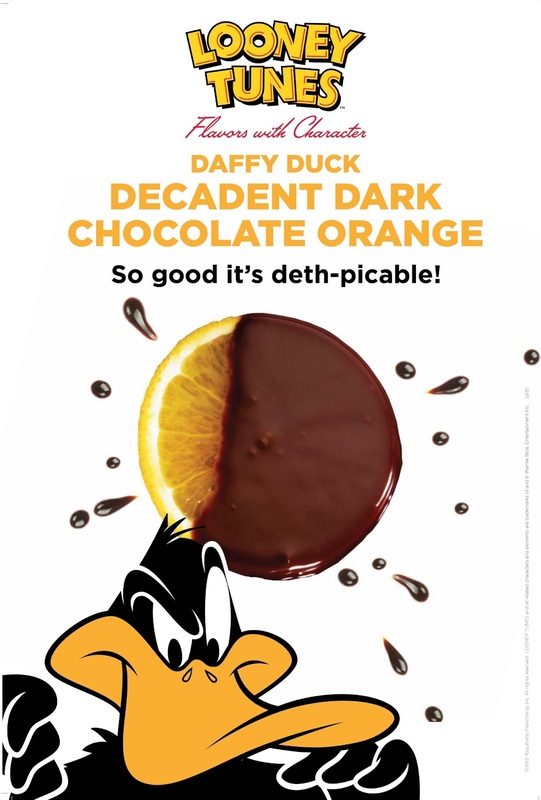 • Inspired by Daffy Duck, Decadent Dark Chocolate Orange frozen yogurt blends premium cocoa with a light natural orange finish for a flavor that’s so decadent it’s deth-picable! Top it off with dark chocolate, orange-covered cranberries. 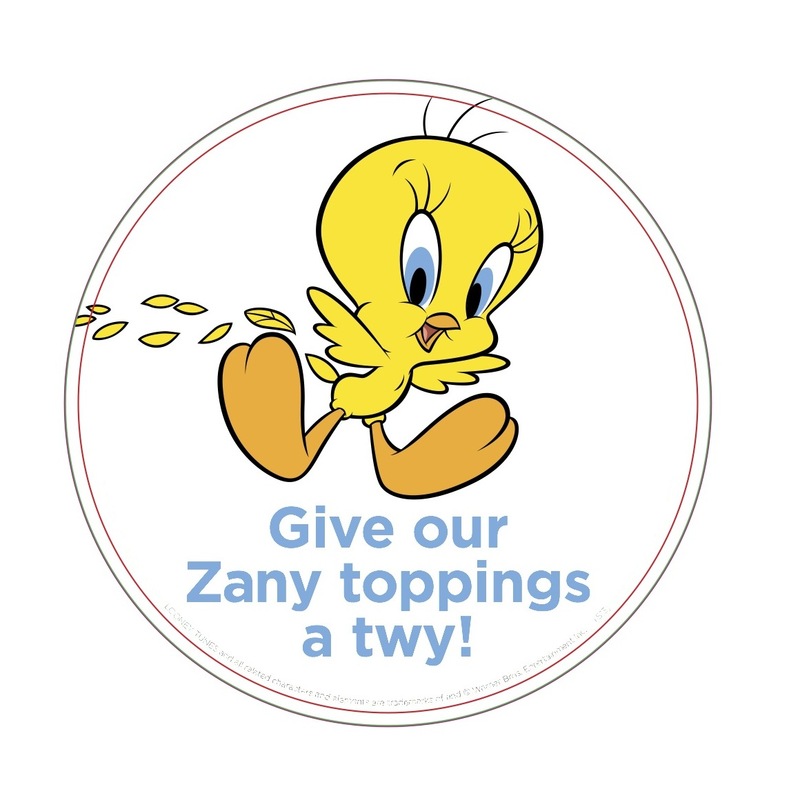 • On the delicate side, Lemon Cream Cookie frozen yogurt is a tasty “tweat” even Tweety Bird would “twy.” Made with real cookies and lemon, this flavor will make putty tats jealous. • Taz would chew his way through anything to get to Yogurtland’s Devil’s Food Cake frozen yogurt. Top it off this untamed chocolate deliciousness with shaved curls of dark chocolate that will leave taste buds swirling. And as if you weren't going to go to Yogurtland already to try these flavors for yourself, I am giving away a $10 Yogurtland Gift Card to one of my readers this week!! I was given a $20 gift card compensation for my post about Yogurtland's new products and launch party, and a $10 gift card for the winner of this Giveaway.